Things are going well for Alex Verus. He's on moderately good terms with the Council, his apprentice is settling in and his shop in Camden is gaining quite a reputation. But when a mysterious woman bursts into the Arcana Emporium one night with an assassin on her tail, Alex is thrown into a plot to revive a long-forbidden ritual. His old enemies are after the secret, as well as a Council mage named Belthas and a mercenary named Garrick, and at least one of them is trying to get Alex killed - if he only knew which. Benedict Jacka became a writer almost by accident, when at 19 he sat in his school library and began writing in the back of an exercise book. Since then he has worked for the civil service, studied philosophy at Cambridge and been a bouncer, but has always found the time to keep writing. Harry Dresden would like Alex Verus tremendously - and be a little nervous around him. 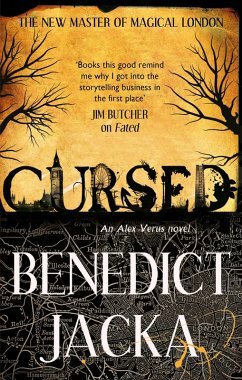 I just added Benedict Jacka to my must-read list. FATED is an excellent novel, a gorgeously realized world with a uniquely powerful, vulnerable protagonist. Books this good remind me why I got into the storytelling business in the first place.